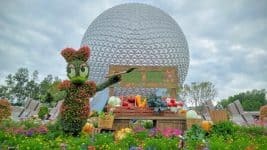 What time is the 3 o’clock parade? How much longer until our FP+ window opens? When is dinner? 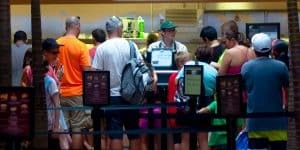 Ever since Walt Disney World introduced MagicBands, we’ve been glancing at our wrists thinking our MagicBands were watches. Now, they can be. 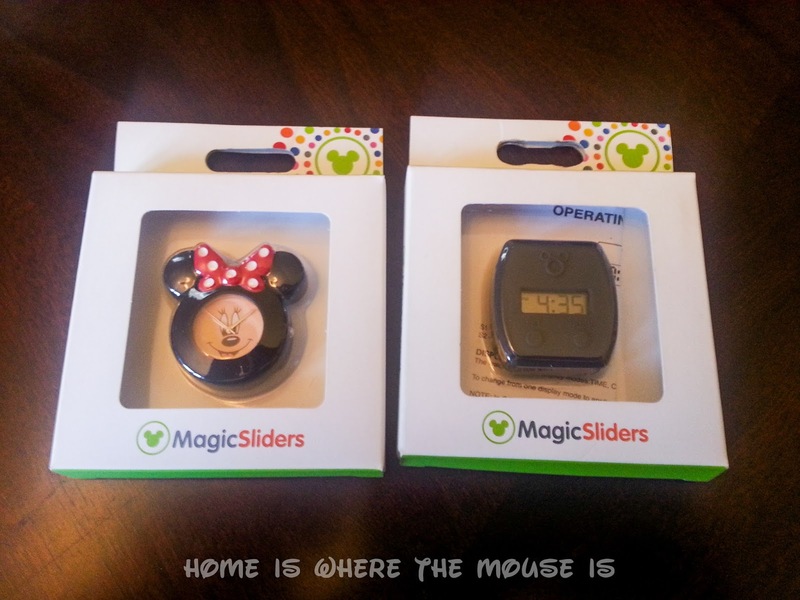 We ordered our set of watch sliders from Wishes and Dreams Concierge Shopping and they arrived at our home before we left for Walt Disney World. This turned out to be a good thing, because we didn’t see the watch sliders in any of the shops while we were there. They seem to be a hard to find item. We even had Cast Members asking us about them. 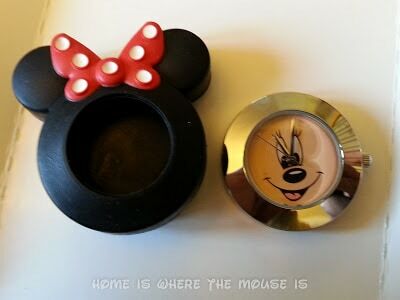 The Minnie Mouse Watch Slider retails for $24.95. 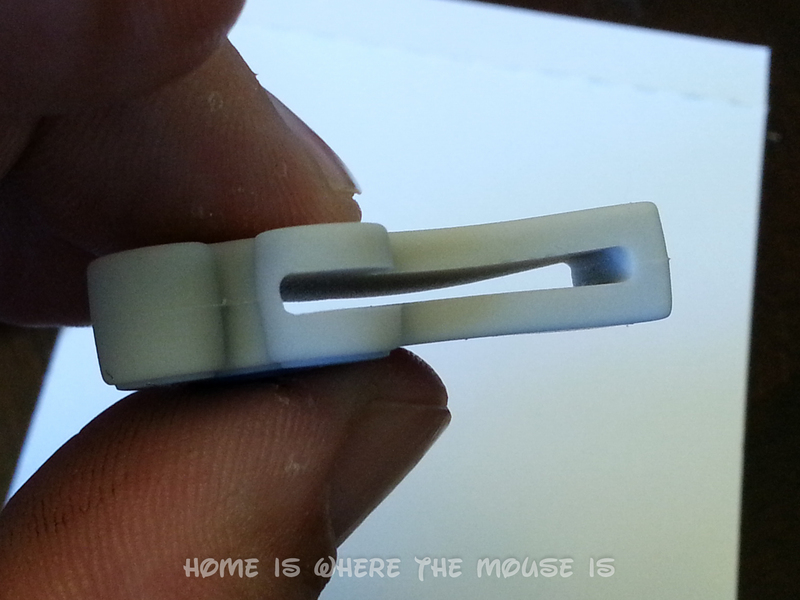 The Minnie Slider is super cute, while the Mickey slider is pretty plain. You almost don’t notice the Mickey head on it at first. 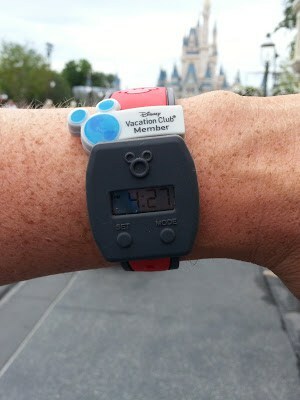 Another big difference is that the Minnie Watch is analog while the Mickey version is digital. 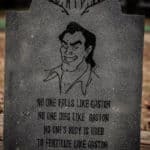 You may or may not have a preference when it comes to this. 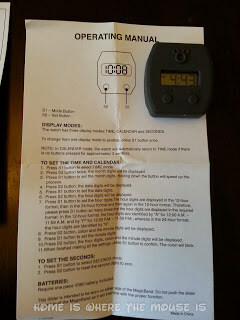 Each came with a simple set of instructions for setting the watch to the proper time. 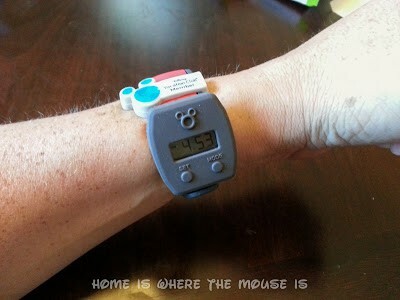 The Mickey watch is slightly more complicated since it also includes the date and a stopwatch/timer feature. Honestly, I don’t see myself ever using those features. Both watches can be removed from their rubber sliders to access the batteries should they need to be replaced. They come out very easily, but not so easily that there is ever any danger of them falling out on their own. 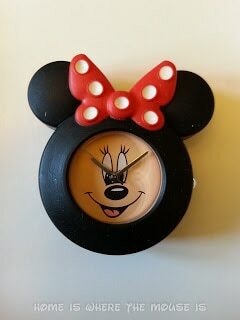 The Minnie Mouse MagicBand Watch Slider resembles a traditional watch face. Neither says anything about being waterproof or water resistant. I did accidentally submerge my Mickey Watch Slider in a stingray touch tank at the aquarium, and it’s still working. I wouldn’t advise wearing the watch sliders into the pool, however. 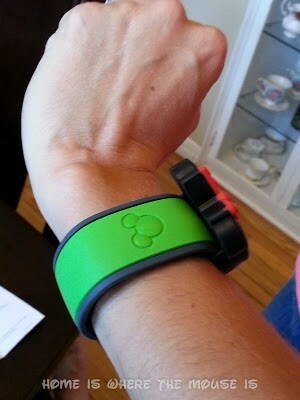 Speaking of wearing them, the sliders, as their name implies, “slide” on to your MagicBand using the slots on the back. For comparison, here is a picture of the Disney Vacation Club slider. 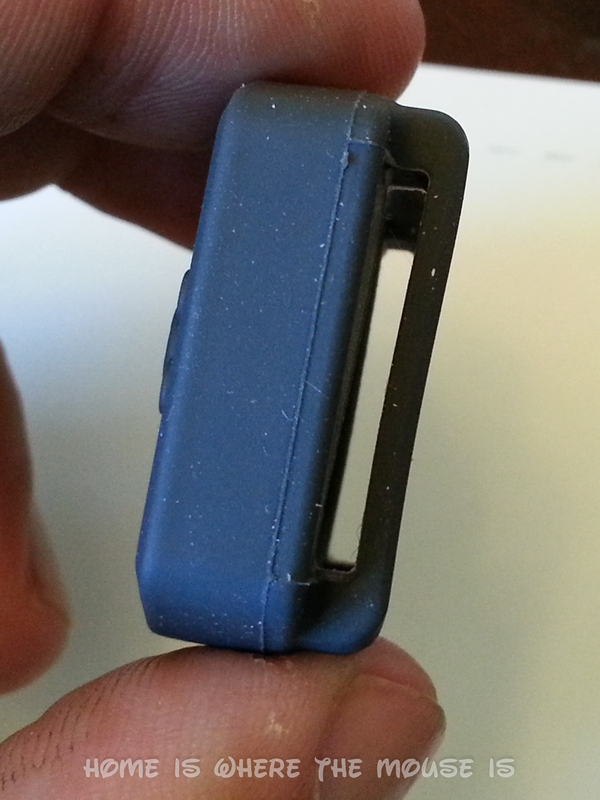 You can see that the watch sliders work the same way, but are a bit bulkier. 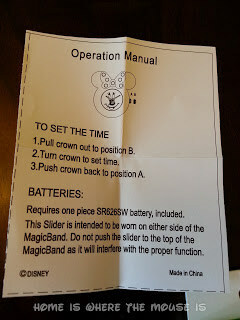 The Minnie Mouse version’s instructions warn you not to cover the “Mickey Head” part of your MagicBand. 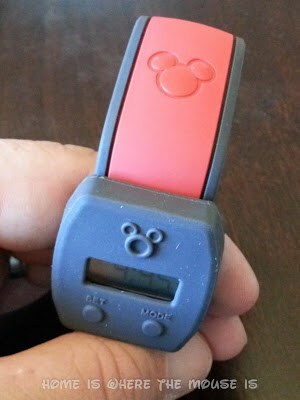 This would get in the way of the MagicBand when trying to redeem a FP+, making a purchase, or unlocking your door. So, you have to wear it off to the side. I thought this would be a bit awkward, and it is. 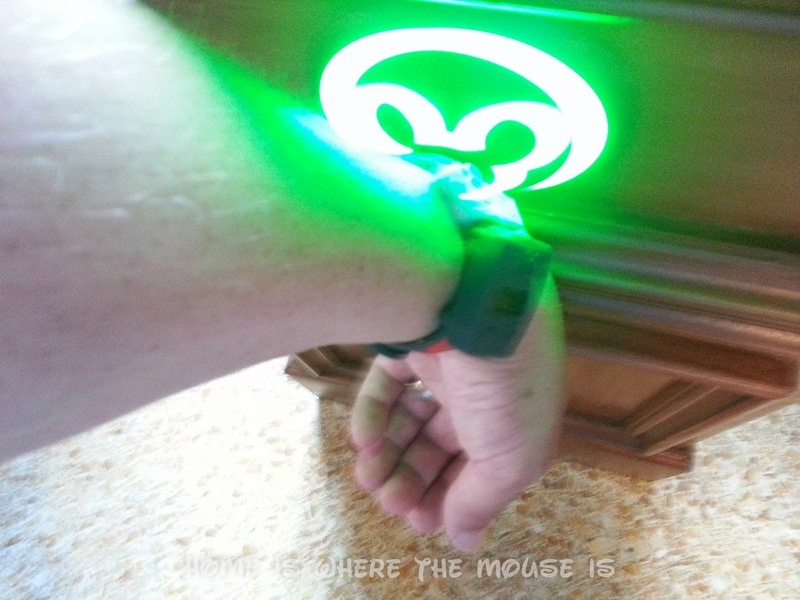 I experimented with several different placements, but the ideal way to wear it for us was on the inside part of the wrist, just below the Mickey Head on the MagicBand. You only need to tilt your wrist slightly to see what time it is. 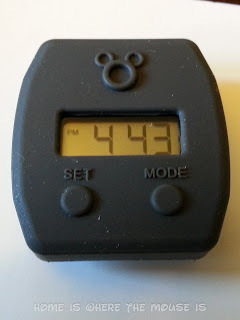 Once we were in the parks, I have to admit I loved having it because I haven’t worn a watch in years and this saved me the trouble of fishing my phone out of my pocket to see what time it was. My Watch Slider says it’s time for a Mickey Bar! 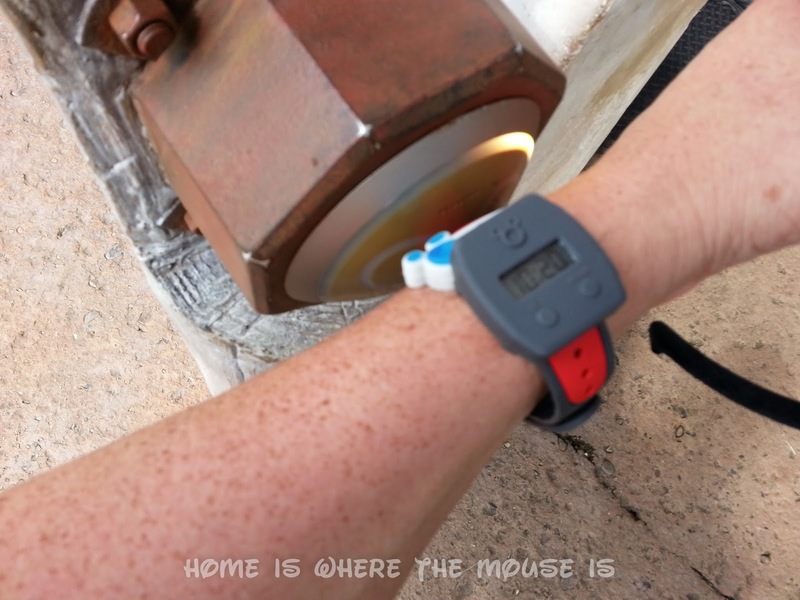 I quickly became accustomed to the watch face being on the side of my wrist, and I found that it didn’t get in the way when using my MagicBand to enter the parks, use FP+, or pay for things. As you see in the picture above, I even had my DVC slider on as well. 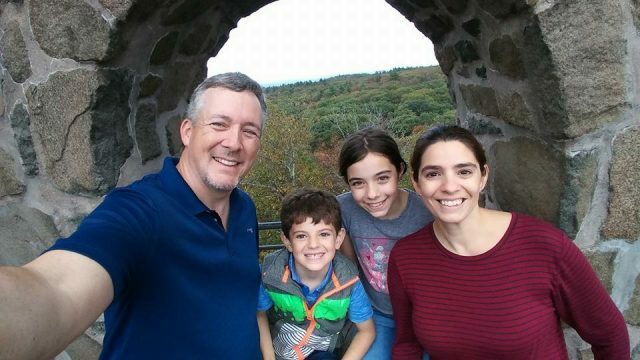 The only complaint I had about the watch slider during our vacation was that there is no light built into it. You can’t see what time it is in the dark unless you go under a lamp or shine another light source on to it. That was disappointing. Now, this was my personal experience with the band. Lisa’s was somewhat different. She stopped wearing her Minnie Mouse watch slider after a day or two. She said it was uncomfortable and constantly got caught on things. That’s probably due to the ear-shaped design and the fact that Lisa doesn’t wear cargo shorts with huge pockets like I do. I had no problems going in and out of my pockets, but I could see how hers could get caught. 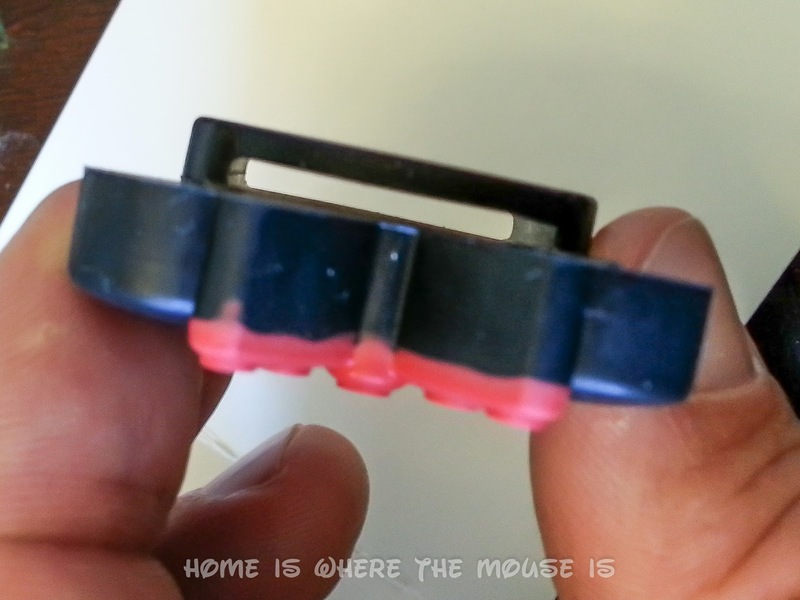 The MagicBand Watch Slider is not the greatest solution to a problem many of us have wanted solved, but it does the job to an extent. $18 or $25 is probably too much to pay for them, unless they improve them in the future. The quality just isn’t what you would expect from a device in the 21st century. 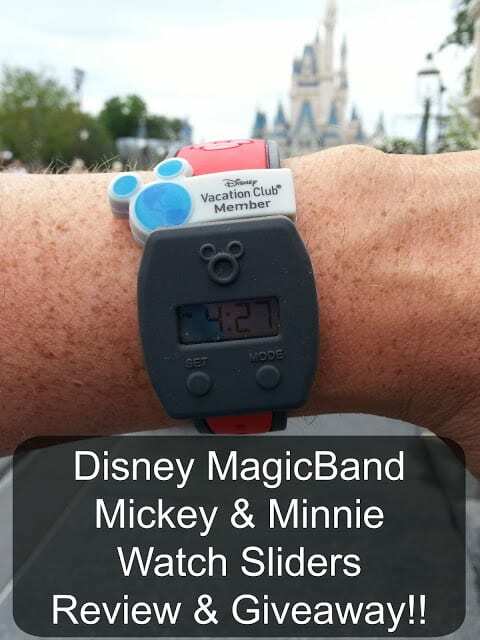 Do you have a watch slider, or have you tried to make your own watch accessory for your MagicBand? 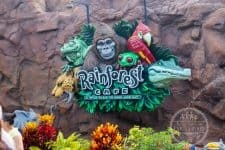 We’d love to here your take! 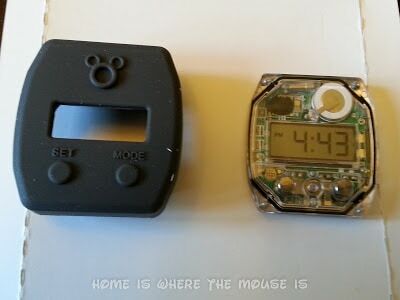 I have the Minnie watch slider and am having trouble getting the back off to replace the battery. Is there a secret to it? Once you remove the rubber, there is a raised circle on the back. look at the edge and there should be a little slot where you can use a screwdriver/knife or something like that to pry the back off to get to the battery.